Popularly known as ‘the meadow of flowers’, Gulmarg is a valley of unparalleled beauty. Film goers can easily recognize this scenic valley of Baramulla district as it has been the location for several movie scenes like Betab, Tahan etc. But today, apart from filmmakers this place also attracts thousands of tourists and adventure seekers every year. Languages: Kashmiri and Hindi, English. Sonmarg, renowned as “The meadow of gold”, is yet another spectacular place to get rid of the scorching heat of summer season. Sonmarg is a tranquil place set amongst the glaciers and azure lakes, Sonmarg is a place adorned with large trees of fir, silver birch, pine and alpine flowers. The turquoise and chilly water of Sind river that meanders through the region, enhance the beauty of Sonmarg. Similar to Gulmarg, Sonmarg is also a paradise for both the tourists and the adventure buffs.Although Sonmarg is also an important travel destination, but in this section we will mainly talk about the Gulmarg Tourism. 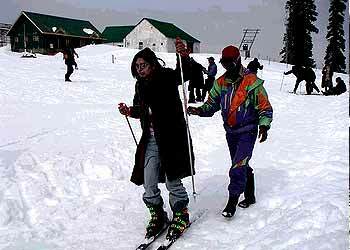 The first thing that comes to mind while planning a holiday in Gulmarg is of course the Gulmarg skiing adventure. This place is one of the most prominent and most popular skiing destination of India. Adventure enthusiasts from all around the world come to Gulmarg for an ultimate thrill and to feel the rising adrenalin rush. The snow covered Himalayan peaks, make skiing in Gulmarg an unforgettable affair, that you will always cherish. Even though you are a professional or an amateur(although you can take some skiing lessons), you can enjoy skiing in Gulmarg without any second thoughts. 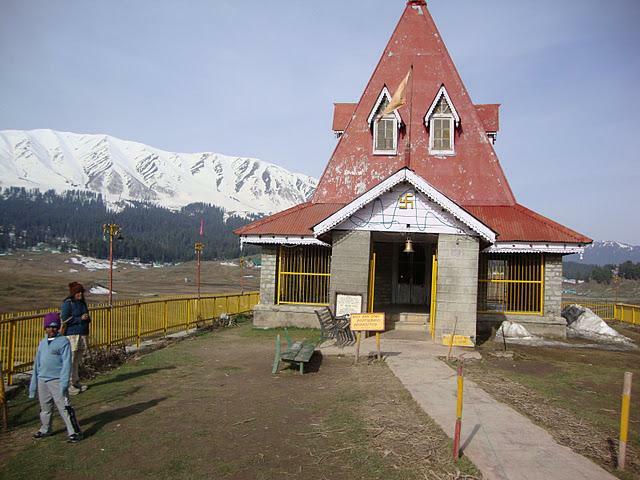 Trekking: Gulmarg, offers numerous trekking and hiking sites. Trekkers can opt for Sonmarg to Vishansar, Krishansar and Gangabal lakes. Golfing: Gulmarg is famed around the globe for having one of the world’s highest green golf course as well as clubhouse. If you are an amateur golfer than you can hire golf sets and also seek the help of an expert golfer to give vital instructions. It is the royal temple of Dogra rulers of Jammu and Kashmir. Built by Mohini Bai Sisodia, the wife of last king of Kashmir, in 1915, this temple is a unique one. It can be seen from all the corners of Gulmarg. Apart from them, you can even try out long trail to jungles, mountaineering, white-water rafting, angling, sledging etc. The weather of both Gulmarg and Sonmarg remain very pleasant throughout the year. Light woolen clothes are common in the summer season whereas during winters one has to cover himself or herself with heavy woolen garments. So, the best season to visit these wonderful areas is between April to June. But if you are looking for skiing experience than it is advisable to visit Gulmarg and Sonmarg during winter season, when skiing activity is at its peak. By Road: J&k SRTC operates regular deluxe and ordinary bus services to Gulmarg and Sonmarg from Srinagar. Even private transportation is also there to commute to both this town from Srinagar. Avoid roadways during winter season as the roads get blocked. The nearest railway to Gulmarg is at Jammu, which is well-connected to major Indian cities like Delhi, Mumbai, Kolkata etc. One can even reach Gulmarg and Sonmarg by air. Srinagar has the nearest airport to both Gulmarg and Sonmarg, which are just one to two hour drive from Srinagar. 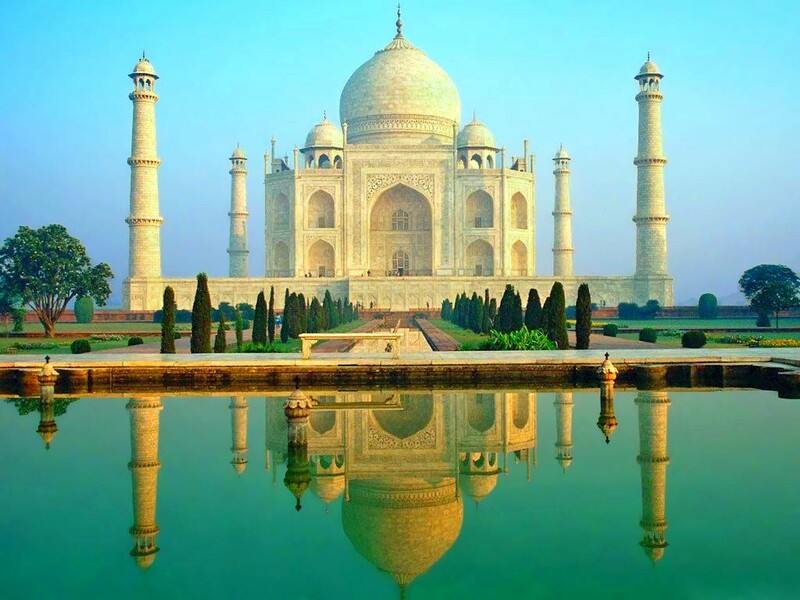 Regular flights operates between Srinagar and various major Indian cities.